The Society of Professional Consultants - Breakfast of Champions: Unleash Your Social Media Potential - Make It Work For You! Breakfast of Champions: Unleash Your Social Media Potential - Make It Work For You! If you are like most consultants, you already wear many different hats. Now you have to put on another one: social media. But how will you ever find the time to squeeze it in? How can you make social media work for you? Elizabeth Brown can show you. The CEO of a successful national computer training firm, she has carved out another niche for herself in social media. And she can help you find your niche, too. You will come away from this dinner presentation with the beginnings of a plan for your own social media strategy. Elizabeth will help you figure out whats the right amount of time for you to spend on social media, what you can expect to accomplish, and what channels are right for you. Elizabeth will first review the different options available to you, and will give you some pointers on how to search LinkedIn as well as some status update tips for LinkedIn, Facebook, Twitter, and other programs. In the second part of the workshop, attendees will pair off to help each other work out their own individual plans. During the final segment, there will be time for questions and answers, and some participants to present their new plans. Elizabeth Brown is founder and president of Softeach Inc., a 26-year-old national firm offering computer training for business users. With a staff of over 160 instructors, Softeach Inc. helps clients stay productive and competitive through customized training, on site or online, nationally or locally. Softeach provides training in Microsft Office, SQL, and Active Directory, among other programs. Softeach clients include Atari, the Boston Herald, and the Bronx Zoo, as well as law firms, insurance companies, graphic design firms, and engineering firms. Elizabeth is a past president of New England Women Business Owners and a member of the Boston Club. 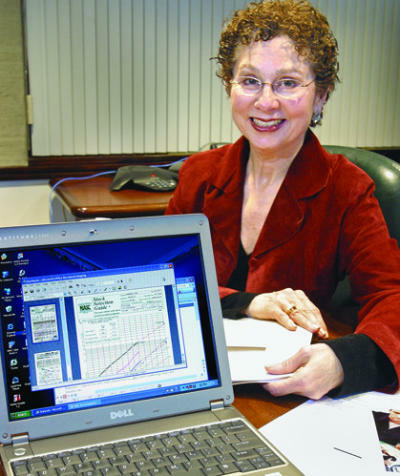 She was chosen as a CEO Success Story by Inc. World in 1995, and has served on the Economic Development Commission of the City of Newton, Mass. She speaks frequently on entrepreneurship, technological trends, and social media.